Modern super universal synthetic oil for mechanical transmissions. Universal application in all units of mechanical transmissions (gearbox, transfer case, differential) of passenger cars and trucks. 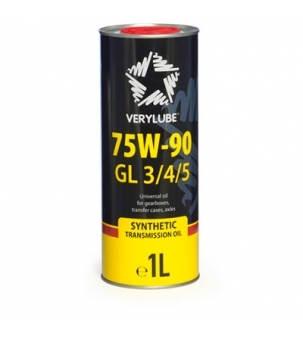 Recommended for transmission mechanisms of modern cars which specify application of easy-flowing synthetic oils. Ensures convenient gear shifting due to perfect synchronization of operating gears. Effective for loaded hypoid gears and self-locking differentials. Excellent fluidity of the oil provides easy and soft transmission operation without any problems at significantly low temperatures (up to –40°C).